How do I connect my Stripe account to WebReserv? To do so, log into your WebReserv account, and go to the Setup - Business Information. Select Payments from the left column. 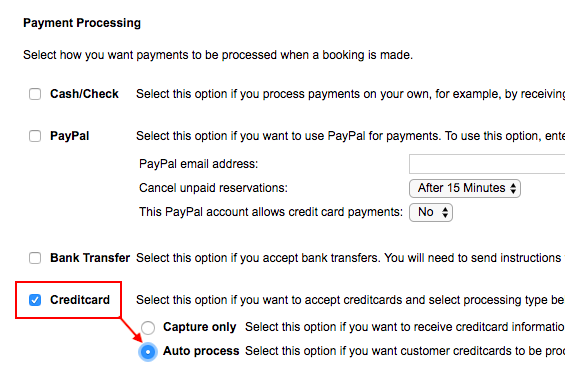 First, you'll want to enable the credit card option in the Payment Processing section. Select Creditcard, and Auto Process. That's it! You've successfully setup the integration with Stripe.